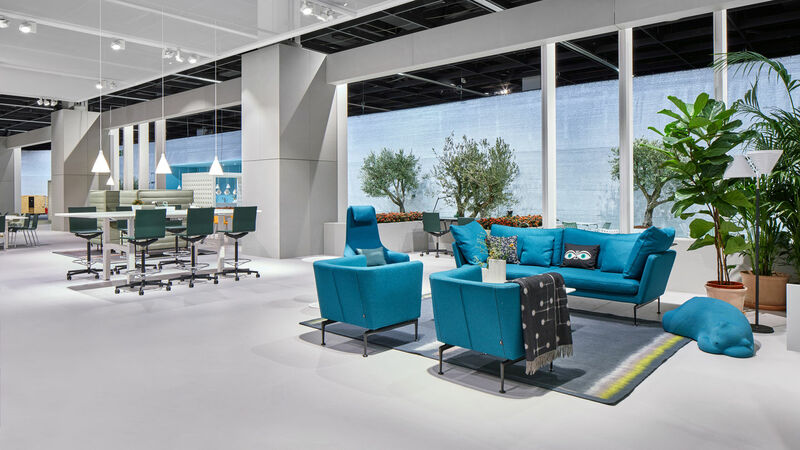 This year at Orgatec, Vitra showcased three concept areas to reflect current trends in the workplace: Company Home, Shared Office and Super Flexible Office. When you are conceiving an office project, it’s important to capture the spirit of the company. If you manage to do that, good design happens almost by itself. Developed by British architect Sevil Peach, the Company Home shows an example corporate headquarters created as a harmonious work environment that includes a park and a dining area; elements from the public realm that are becoming an integral part of more and more head offices. Such multi-use areas give employees a sense of well-being and offer opportunities for concentrated work, meetings or rest phases. If it’s true that that public spaces are influencing the internal function of office interiors it’s also true that the work zone is spilling into public spaces. Formal work rules are dissolving, regardless of where and how we work – now frequently in hotel lobbies or cafés. As a result, the desk is no longer at the centre of our work life. It is disappearing as an archetype. The Shared Office blurs the boundaries between the office and public space where public work environments in the form of co-working spaces, cafés and hotel lobbies are becoming the norm. Increasingly companies are opening their ground floor spaces to the public. There is little demand for the classic desk in such places – rather, large sofas form the hub of new working practices. As a platform around which the workday revolves, they are equipped with power connections, worktops and privacy screens. Additional tables and chairs are grouped around the sofa and can be pulled up as needed. As part of this concept, Soft Work is a new modular sofa system that responds to today’s needs, developed in collaboration with the designers Edward Barber & Jay Osgerby. The idea is that of an empty space that can be redesigned to suit new purposes at any time, or just as quickly be restored to its original set-up. I find it extremely interesting not to create a definite layout. A good analogy would be sports halls, which can be configured to suit a wide variety of sports and activities. 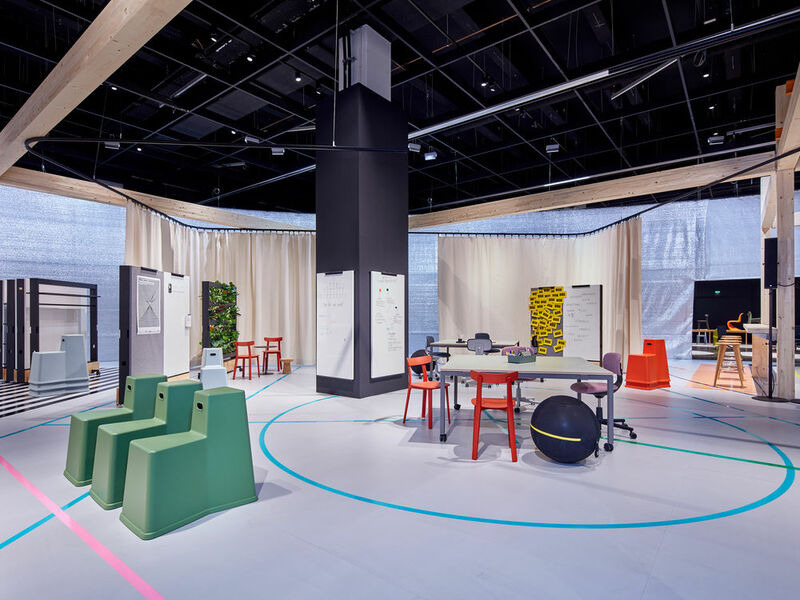 Konstantin Grcic’s concept for the Super Flexible Office is all about creativity, communication and innovation. Users can easily rearrange this office on their own: divider curtains, mobile partition walls, furniture on castors and stacking chairs make it possible to create differently sized rooms for myriad uses in just seconds. The Super Flexible Office can be frequently reconfigured while always maintaining its identity – now a meeting room, then a café, tomorrow a communal space. 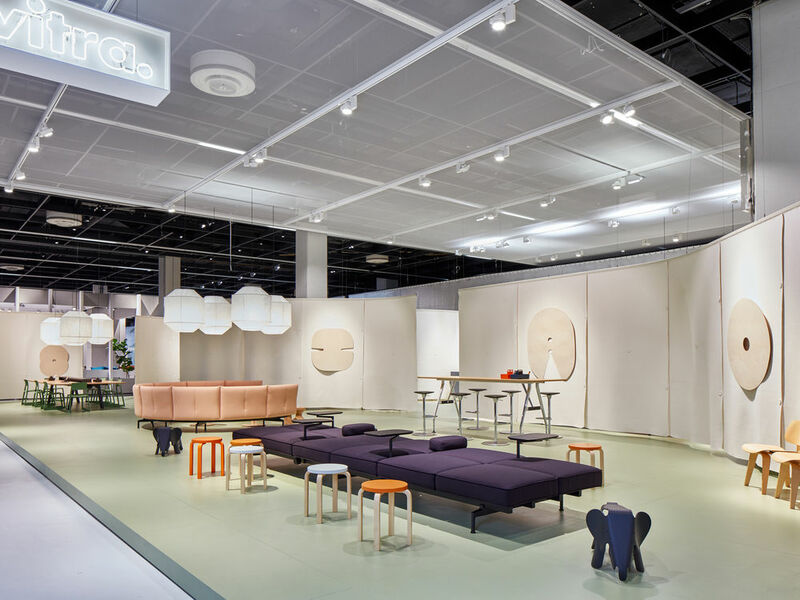 At Orgatec, Vitra showcased two new products in the Super Flexible Office concept: Dancing Wall, created by Stephan Hürlemann, and Rookie, a small task chair for agile workplaces, designed by Konstantin Grcic.